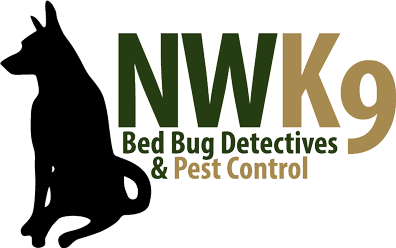 At Northwest K9 Bed Bug Detectives, our main goal is to effectively remove bed bugs from your home or business, but in doing so, we always take a safe approach. We only use products that will have the least impact on your home, and if you have children with health concerns, we will adjust our treatments accordingly. When you call for a bed bug inspection in Seattle, you should feel confident that a knowledgeable and courteous team will be providing you with excellent service. If you discover bed bugs in your home, you might think that you can effectively remove them yourself. If you catch them early, it is possible that you can get rid of all adults before they have a chance to bite you or lay eggs, but the reality is, there’s no way to know at what stage you discovered them. It’s important to hire a professional inspection and extermination team, since they are the only ones who know how to properly use chemicals and techniques that will rid your home of bed bugs while not posing any health risks to your family. Bed bugs can take refuge in many spots throughout your home, and finding them all yourself and safely removing them is quite a challenge. When you call us, you can count on a thorough inspection, followed by a detailed description of what steps we will take to exterminate the pests. As we said, if any of the chemicals or treatments that we use pose a health risk, we will adjust our approach. Your home will remain safe, while also being free of bed bugs. Call today for a bed bug inspection in Seattle.